LINCOLNSHIRE, Ill., Jan. 24, 2019 – CDW Corporation (NASDAQ:CDW), a leading provider of technology solutions to business, government, education and healthcare, announced that it will host a webcast conference call to discuss its fourth quarter 2018 results on Thursday, February 7, 2019 at 8:30 a.m. ET/7:30 a.m. CT.
A live webcast (audio with slides) of the conference call will be accessible at investor.CDW.com. The press release, financial highlights and presentation slides will be posted on this website prior to the call. Please visit the website at least fifteen minutes prior to the call to register and to download and install any necessary software. A taped replay of the webcast will be available on the website shortly after the call. For questions, please email investorrelations@cdw.com. 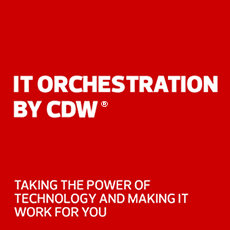 CDW is a leading multi-brand technology solutions provider to business, government, education and healthcare organizations in the United States, Canada and the United Kingdom. A Fortune 500 company with multinational capabilities, CDW was founded in 1984 and employs more than 8,900 coworkers. For the trailing 12 months ended September 30, 2018, the company generated net sales of approximately $16 billion. For more information about CDW, please visit www.CDW.com.